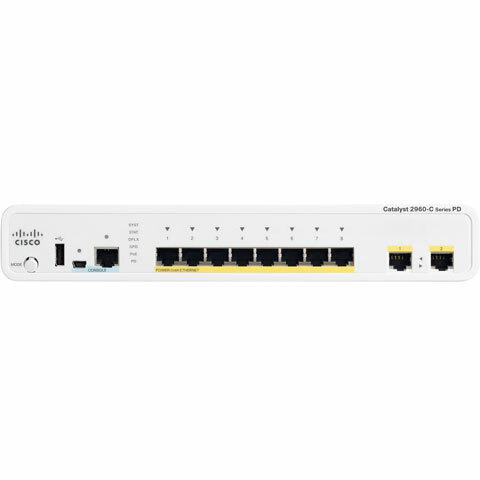 The Cisco Catalyst 2960 Series Switch Intelligent Ethernet Switches enable entry-level enterprise, medium-sized, and branch offiCE .NETworks to provide enhanced LAN services. This family of fixed-configuration, standalone devices provide desktop 10/100 Fast Ethernet and 10/100/1000 Gigabit Ethernet connectivity. 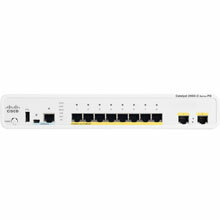 The Catalyst 2960 Series Switch offers connectivity: Fast Ethernet and Gigabit Ethernet connectivity in 8-port, 24-port, and 48-port configurations, power over Ethernet: 24 full PoE port and 24-port (PoE supported on 8 ports) configurations, integrated security, including network admission control (NAC), advanced quality of service (QoS) and resiliency, intelligent services for the network edge and a Limited Lifetime Warranty. The Cisco WS-C2960CPD-8TT-L is also known as CSC-WSC2960CPD8TTL	or WSC2960CPD8TTL	.